Oh God! Harsha Bhogle got the first movers advantage. He said it before I could say the same sentence. And so I’ll have to quote him saying, “I always believed that the most difficult thing in this world is to get into an IIM, however after coming here I realized that the most difficult thing is to get out of here”. We guys have to be very careful while writing something here. It has to be checked and cross-checked that the thing you are writing hasn’t been written by someone else at any other place, because here “Plagiarism is a serious offence and is looked down upon”. “The consequences may be severe” and “& it will be strictly dealt with”. You have to be vigilant at every step. Think before saying or doing anything. One can’t do things just for the sake of doing; it has to be backed by a strong reason and a rationale. Ha ha – that’s too much of a dose for a beginner or an outsider. Welcome to life@IIM-K, oops it’s “The Indian Institute Of Management Kozhikode” and very rightly we call it “God’s own Kampus”. Of course that’s not a spelling error. 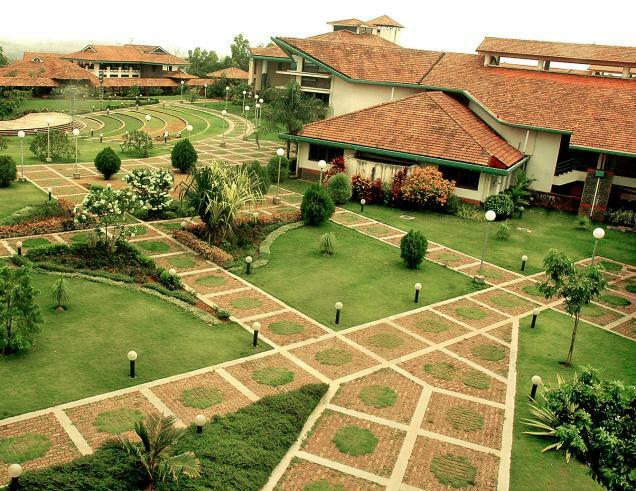 At IIM-K everything starts with K, and at K we call in Kampus. And beware we are very passionate about it. Once you stay at any IIM, no matter what kind of a person you are, everything is wiped off. Now you belong to that place and that tag defines you and stays with you forever. That is the power of an IIM and not only IIM-K but every other IIM. This is how they are designed and made. It’s really worth to be here, and all those aspirations and dreams and efforts do not go in vain. Step in here and you are assured that next two years of life will be well spent. The fairy-tales of life end here and fictional stories begin. Yes, that’s true especially if you are a straight out of college guy and not seen much of professionalism in real world. And for that matter, even if you have worked say for a few years like me, it doesn’t matter much. It is all the same for everyone, as the ease in your lives doesn’t remain anymore. These guys make you work really hard, they make you slog for days and nights and turn those imaginary stories of hard working people to incarnate in your mirrors for you. Surely this is fictional stuff to hear for an outsider, and one would never be able imagine or believe our stories of those sleepless nights which even extend to weeks in many cases. All those simple pleasures of life like sleep and food which you once considered menial or took for granted become priceless commodities here – an unfair market surely. Whenever anyone asks me Wow what’s the life of IIMK like ? First thing which come to my mind is hectic. But this is the life here and we love it. And we love it to the extent that we badly and desperately want to share it with each and every species alive on this earth and who would possibly understand any humane language ever made. The real life starts when clock strikes midnight, Committee membership, so many interest groups, clubs to nurture your passions, management competitions, a lot of teamwork, and not to mention parties… everything blossoms here at night and our campus become nocturnal that never sleeps. And that’s how we become nocturnal something we used to worry back home take a while to understand. You can operate with great efficiency with just 4 or 5 hours of sleep. There are days when we wake up mechanical , no assignment, no quizzes, no submissions at all the satisfaction and joy is beyond anything you have ever experienced. They are few and scattered and hence you cherish them even more. And believe me noting can be more scenic like IIMK campus and such heavenly beauty deserves to have at least a few admirers musing over her while she gloats in the glory of her own narcissism. But alas, she has many admirers but none with any more time than to glance at her and walk away just to plunge back into the dark abyss to resume again the rat race. But there is no such amazing experience than walking through the clouds across the mountain hills and watching the sunrise early morning. That’s the magic the campus plays on us. And through this series of articles we intend to share life a IIM-K and produce a fair or even say unfair picture of what life at a IIM K, why and how much painful it is, and yet why should one never ever in his lifetime miss an opportunity to be here. ( I am pursuing MBA in IIM Kozhikode, have completed my B.Tech from IIT Delhi in chemical engineering. I have worked in Zomato,com and HPCL-Mittal energy Limited).